No more Kow-tow to KL | Daily Express Online, Sabah, Malaysia. 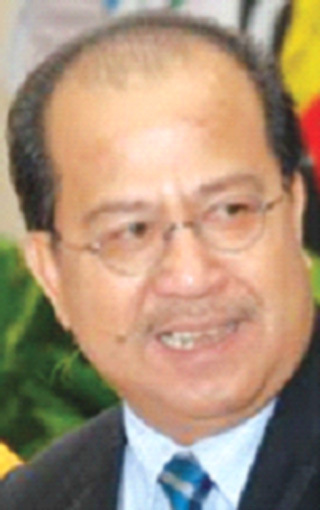 Kota Kinabalu: An Upko Assemblyman has leapt to the defence of his party which came under attack from Umno, lately, saying that at least for the first time in Sabah's political history Sabah does not have to kowtow to Kuala Lumpur anymore.Datuk Abidin Madingkir said this was unlike during the days when the Malay-based party (Umno) was in power. He said in a statement that leaders in the state now are free to speak out or make any request as the culture of fear started by Umno is over. "A case in point is (Chief Minister Datuk Seri) Shafie (Apdal) who continues to speak out on issues like the 20 per cent oil royalty and Malaysia Agreement 1963. "Last time, the Sabah Chief Minister from Umno would think twice before opening his mouth for fear of repercussions from KL. A lot of things that Sarawak fought for through her former late and present Chief Ministers, our Sabah Umno Chief Minister just kept quiet for fear of offending KL. Pity us, pity Sabah," he said. Abidin, who is a party Supreme Council member, said how Umno had bullied its other partners in Sabah Barisan Nasional has always been an open secret. "That was why Upko was not the only party which left Sabah BN after last general election. So did LDP and PBS. PBRS also left but apparently had a change of heart when their application to join PH was not entertained which led to its sec-gen Datuk Dr Johnson Tee quitting," he said. Abidin was referring to a statement by Sabah Umno liaison chief Datuk Seri Hajiji Noor who said that party acting president Datuk Seri Wilfred Madius Tangau was wrong in saying there were no Malaya parties in the present State Government. Hajiji, who is also Tuaran Umno division chief, said that PKR and DAP are both parties from Peninsula Malaysia. Abidin clarified that Madius did not say there were no more Malaya parties in the present Sabah Government but was referring only to Umno which he felt should return to Kuala Lumpur. "What he meant was Upko (and the people of Sabah) were finally freed from the clutches of Umno after more than 20 years. The number of seats obtained by Umno in the state this time around showed how Sabahans felt about Umno. He said even though there are Malaya parties like PKR and DAP in the State Government, it is led by Parti Warisan which is a local party unlike during the Barisan Nasional era which was led by Umno. "And Umno is a Malaya party," he said. He pointed out that Parti Warisan or Shafie do not have to "sikit-sikit" refer to KL (always having to refer to KL) on even small matters, unlike Umno. "In IT terms, it is a stand-alone computer. Although a few state ministers are from PKR and DAP, Shafie being the Chief Minister is the taiko (big brother). He calls the shots," said Abidin. He said the Sabah government spearheaded by Warisan had the respect of Kuala Lumpur. "The fact that Warisan was given three full ministers and two deputy ministers' posts speaks for itself. No PKR or DAP MPs from Sabah were made a federal or deputy minister. So the question of PKR and DAP, two Malaya parties, undermining the State Government does not arise. "They are just partners in the State Government and they know that too. They know where they stand and are behaving themselves," he said.